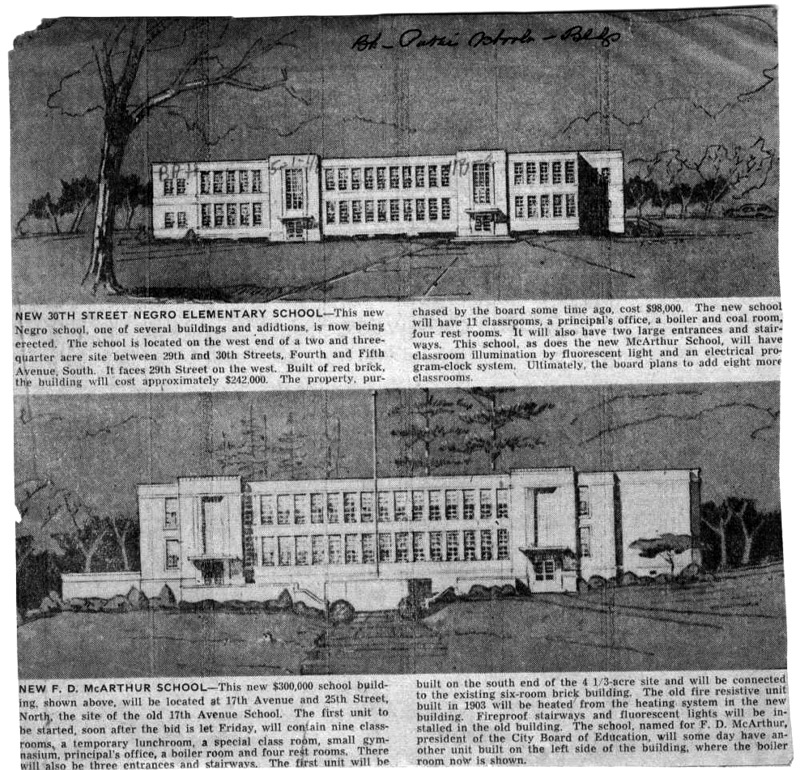 Compiled by Larry E. Caver, Jr. The small pox is said to be raging on the road from Selma to Montevallo . . . it is said that it has been caused to spread much more than it would otherwise have done, by means of inoculation. A number of individuals who had been exposed to the contagion of the small pox were vacinated (sic) with matter, probably of a defective character . . .
We who are living in a time when smallpox has been all but eradicated and there are reliable vaccines for many illnesses can hardly imagine how your life could depend on being warned in time about an outbreak of disease, and even then the warning might not save you. But some of our ancestors still managed to beat the odds, as we see in the Athens Post of March 5, 1868: "Mrs. Sallie HARRIS, living at Cedar Bluff, Cherokee County, is said to be the oldest person now living in Alabama. She is 113 years old. 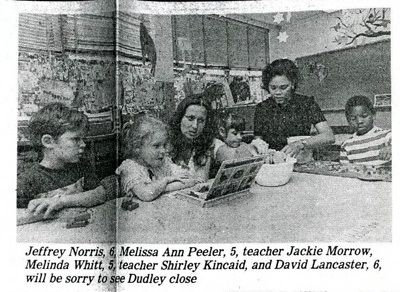 She is a native of Edgecomb County, North Carolina." If you’re interested in newspapers, they are really in the spotlight at BPL right now. Don’t miss our Alabama Illustrated exhibit in the Fourth Floor Gallery, which features news stories pertaining to Alabama from various 19th century newspapers and will be on display until Friday, February 2, 2018. You should also reserve your spot for the “Nosing Around in Newspapers” class in Southern History’s Beyond the Basics of Genealogy series. 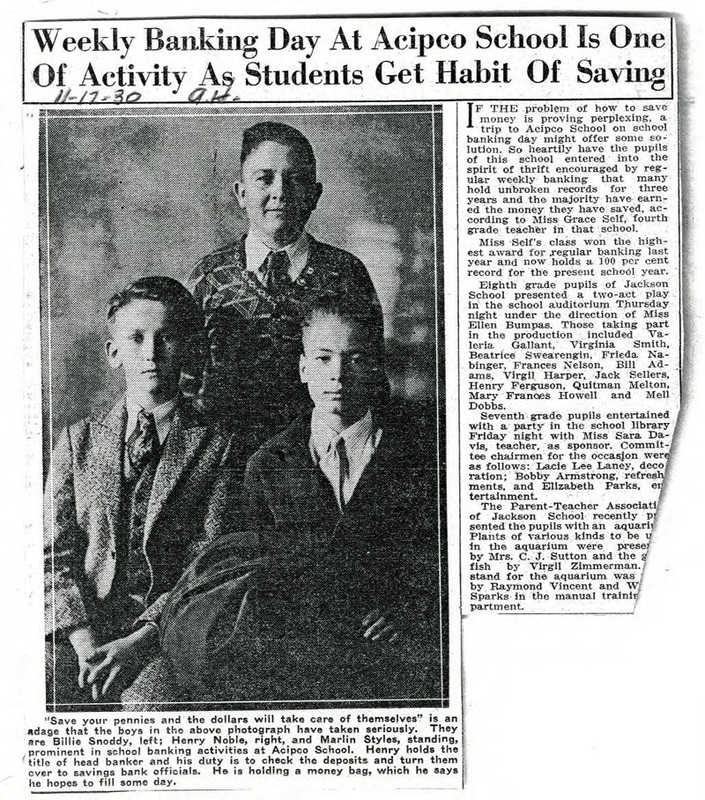 This class will take place on Sunday, March 25, 2018, and will focus on using newspapers in genealogy research and navigating our database Newspapers.com—Southeast Edition. This is a relatively new database for us and we are excited to be able to offer this resource to our genealogical researchers. 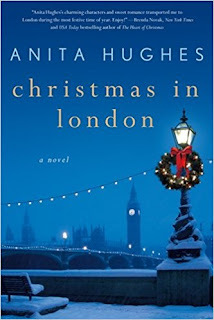 Looking back through my blog posts, I discovered that I had not introduced any of this season's new Christmas books. Many Christmas titles are published in October, so these are already available to enjoy next to the fireplace with a glass of eggnog. Take a break from the holiday rush, relax, and escape into one of these delightful books. I hope all of you have a festive and enjoyable holiday season. The book descriptions are provided by the publishers. 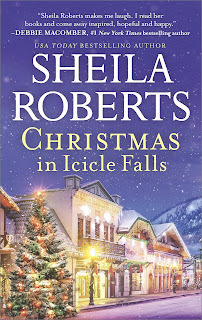 In the Cornish coastal village of Mount Polbearne, the Christmas season has arrived. It's a joyous time for family, friends, and feasting, as decorations sparkle along the town's winding streets and shop windows glow with festive displays. And in Polly's Little Beach Street Bakery, the aroma of gingerbread cookies and other treats tempts people in from the cold. Though Polly is busy keeping up with the demands of the season, she still makes time for her beekeeper boyfriend, Huckle. She's especially happy to be celebrating the holiday this year with him, and can't wait to cuddle up in front of the fireplace with a cup of eggnog on Christmas Eve. But holiday bliss soon gives way to panic when a storm cuts the village off from the mainland. Now it will take all of the villagers to work together in order to ensure everyone has a happy holiday. 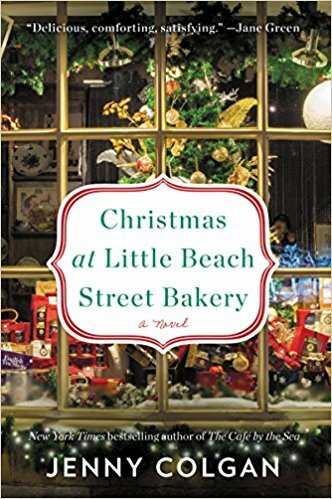 It's a week before Christmas and Louisa Graham is working twelve hour shifts at a bakery on Manhattan's Lower East Side. A young cooking show assistant comes in from the rain and begs to buy all the cinnamon rolls on her tray. They aren't hers to sell, but the show burned the rolls they were supposed to film that day, so she agrees. The next morning, Louisa finds out that her cinnamon rolls were a hit, but the star of the show was allergic, and the whole crew is supposed to leave for London that afternoon. They want Louisa to step in for their annual Christmas Eve Dinner TV special at Claridge's. Digby Bunting, Louisa's famous baking idol, will be there, even if he does seem more interested in her than her food. 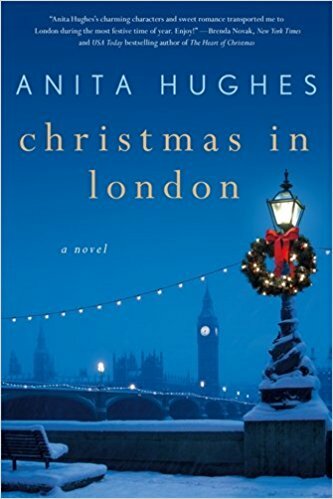 On their first day in London, Kate, the show's beautiful producer, runs into the skinny boy she jilted at St. Andrew's in Scotland ten years ago; now a handsome, brilliant mathematician, and newly divorced. Kate and Louisa are busy preparing for the show, but old and new flames are complicating their work. 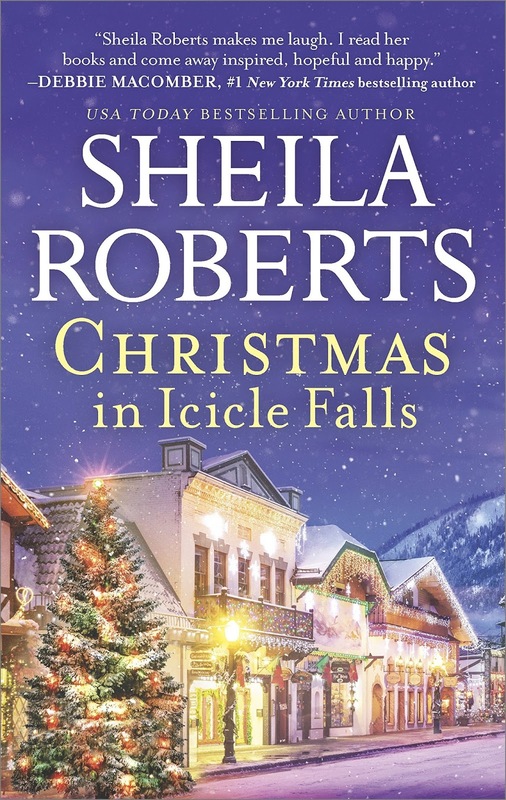 Renee Richardson's list of Christmas wishes includes: a few more clients at her hair salon, a few less unsuitable dates set up by her father, and some new friends for her troubled young son, Kieran. Little does she know that Kieran has already made a pal in their new town . . . a scrappy little dog named Max, who he found in the woods. When Max gets caught in a snare, Kieran and his grandfather rescue the pup, and the whole family begins to bond with their four-legged guest. 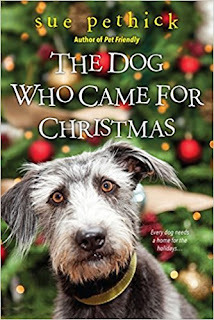 The holidays draw closer and more chaotic and Renee has her hands full, especially when Max's owner turns up to claim him. Travis Diehl is the first man to intrigue her since her divorce--though she's facing stiff competition in a local bombshell who also happens to be Renee's most important client. 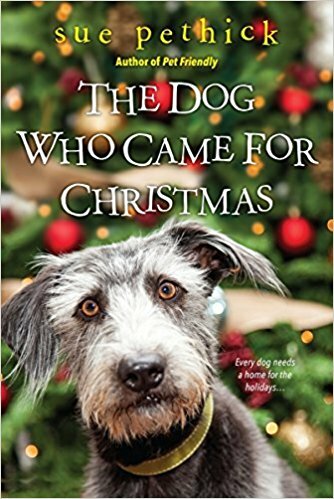 But as a white Christmas becomes a bona fide blizzard, Kieran, Renee, and Max may all gain the gift they've been longing for--loyal companionship and a lifetime of love . . . When Muriel Sterling released her new book, A Guide to Happy Holidays, she felt like the queen of Christmas. She's thrilled when the new tree she ordered online arrives and is eager to show it off--until she gets it out of the box and realizes it's a mangy dud. But rather than give up on the ugly tree, Muriel decides to make a project out of it. As she pretties up her tree, she realizes there's a lesson to be learned: everything and everyone has potential. Maybe even her old friend Arnie, who's loved her for years. Except she's not the only one seeing Arnie's potential...Meanwhile, Muriel's ugly-tree project has also inspired her friends. Sienna Moreno is trying to bring out the best in the grouchy man next door, who hates noise, hates kids and hates his new neighbors. And while Olivia Claussen would love to send her obnoxious new daughter-in-law packing, she's adjusting her attitude and trying to discover what her son sees in the girl. If these women can learn to see the beauty in the "ugly trees" in their lives, perhaps this might turn out to be the happiest holiday yet. Details: Free and open to the public during library hours. On Sunday, January 7, Shot in Alabama author Frances Robb will give a gallery tour of the exhibit at 2:30 p.m., followed by a lecture at 3:00 p.m. in the Fiction Department. If you like looking at historic photographs, make plans to make your way to the Birmingham Public Library (BPL)’s Central branch to view its new exhibit Shot in Alabama: Historical Birmingham Photographs. The exhibit is open to the public through February 4, 2018, in the First Floor Gallery. 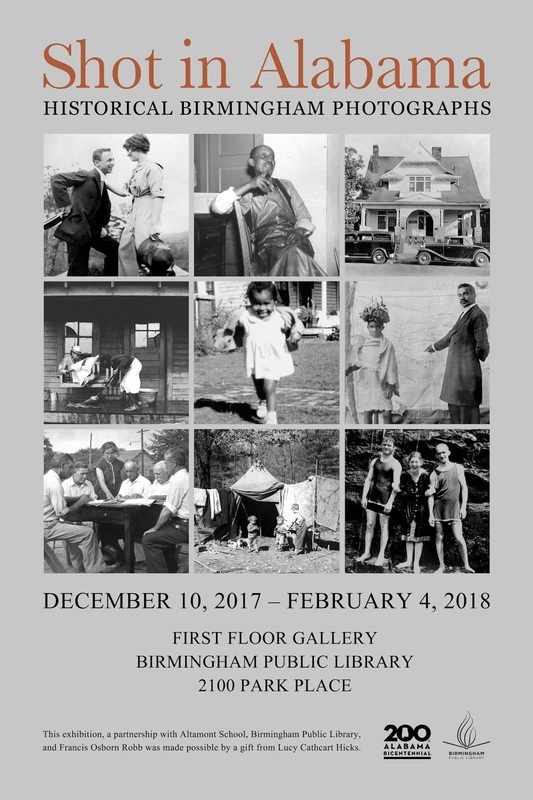 The photo display features nearly 30 pictures from the book Shot in Alabama: A History of Photography, 1839-1941, and a List of Photographers by author Frances Osborn Robb, released by the University of Alabama Press in 2016. Shot in Alabama is Robb's visual and textual narrative of Alabama's photographic history from 1839 to 1941. BPL’s exhibit highlights the Birmingham photographs, many of which come from BPL’s Archives Department. Students from Altamont School in Birmingham designed the exhibit and wrote the content for the 30 photograph labels. Robb, author and curator of the exhibit, will give a lecture about Shot in Alabama the book in the Central Library’s Fiction Department at 3:00 p.m. on Sunday, January 7, 2018. Robb will also lead a gallery tour of the exhibit at 2:30 p.m. prior to her talk. Presented chronologically, Robb depicts Civil War photography, portraits of the end of the 19th century, the Great Depression, pre-World War II illustrated photography, and more. Robb also chronicles the work of hundreds of photographers—black and white, amateur and professional, women and men. The Shot in Alabama book also has an appendix listing 1,400 photographers by name, working dates, and location. A Birmingham native, Robb has spent 25 years researching Alabama photography while serving as a consultant on the state's cultural history and historic photography for museums, archives, and libraries. The Shot in Alabama book is available for $60 in the BPL Friends Bookstore, located on the first floor of the Central Library. Proceeds from sales benefit BPL. The same Flipster app for Android phones and tablets is now available for Chromebooks via Google Play. This means that library patrons can easily access the enhanced Flipster app and download digital magazines using a supported Chromebook. Learn more. 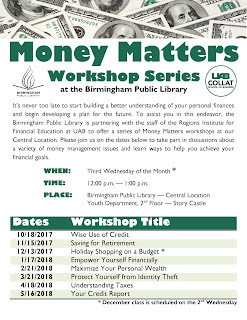 Flipster is a free digital magazine service available through the Birmingham Public Library for residents of Birmingham with a JCLC libary card. Full-text popular magazines are available to be read on a mobile device or computer. On December 8 hoopla digital announced a new agreement with Marvel Entertainment that adds over 250 collections and graphic novels to the service. Through this agreement, patrons of participating public libraries can now borrow Marvel works such as Thor: God of Thunder, Black Panther: A Nation Under Our Feet, Civil War, and X-Men: The Dark Phoenix Saga via hoopla digital on their smartphones, tablets, and computers. Marvel content arriving on hoopla digital includes heroes and villains that have been a part of Marvel’s blockbuster films and acclaimed television shows, including The Avengers, Guardians of the Galaxy, Spider-Man, Daredevil, Punisher, and The Runaways. Marvel’s collections add to hoopla’s catalog of more than 600,000 movies, TV shows, music albums, eBooks, audiobooks, and comics. “Through this agreement, we are building a digital home for comic book fans where they can find all their favorite characters and have instant access to hundreds of acclaimed works—all with a library card. No collection would be complete without the iconic work of Marvel Entertainment,” said Jeff Jankowski, founder and owner of hoopla digital. hoopla digital’s comics experience showcases Action View, a one-of-a-kind, immersive digital reading experience that allows for full-page and panel-by-panel views of comics and illustrations. To begin accessing Marvel content, library-card holders of participating public libraries can download the free hoopla digital mobile app on their Android or iOS device or visit hoopladigital.com. This week Kimberley Wiley and I enjoyed our hours spent staffing a Birmingham Public Library table at the Birmingham City Schools Community Services Information Fair at Sixth Avenue Baptist Church. We created library cards, renewed library cards, and checked out books, DVDs, and graphic novels to parents. This program is presented every year and is open to all parents/guardians of Birmingham City School children. 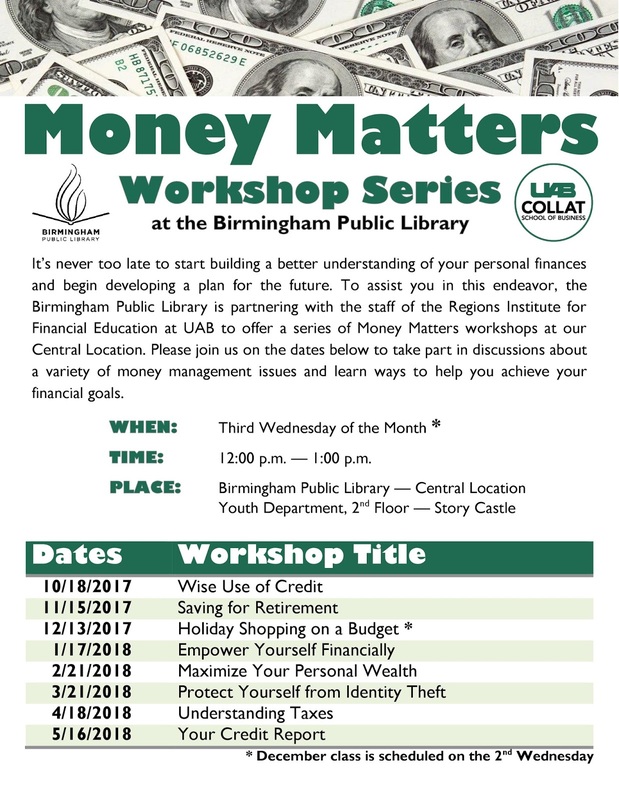 I had the privilege of presenting information about the Birmingham Public Library and presentations about services were given by the following agencies. Feel free to check out their websites. If you are interested in the Birmingham City Schools Family Involvement Program and what they offer, please view this link https://www.bhamcityschools.org/Page/360 or contact Mechelle Rice-Fields, Coordinator of the Family Evolvement Program at 205.231.2262. Did you attend elementary school in Birmingham? 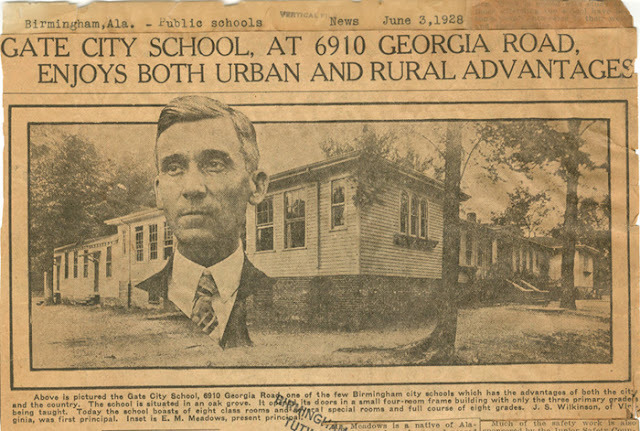 Are you searching for historical information about local schools? If so, we have good news! Birmingham Public Library's Digital Collections now has newspaper articles covering Birmingham's elementary schools available online. 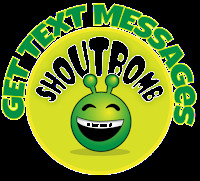 Keep up-to-date with your library account on your mobile phone using the library's Shoutbomb text messaging service. Text the word SIGNUP to 205-358-4149. Then reply to the messages from Shoutbomb with your library card number and PIN. Once your Shoutbomb registration has been completed, you will automatically get text notices about items available to pick up, items that are due soon, overdue items, and fines. A text will be sent only when activity on your account triggers a message. Our enduring image of Leonardo is one he created for himself— the discerning sage with his long hair and beard. The pleasure of Walter Isaacson’s Leonardo da Vinci is that we get glimpses of the beautiful, endearingly vain man who, through his insatiable curiosity and unmatched visual acuity, evolved into the authentically wise sage we see in his self-portraits. 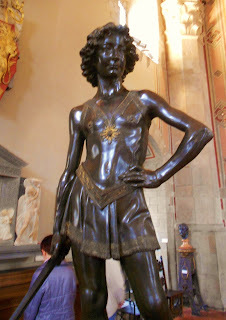 Biographers, including Sigmund Freud, have long been fussy about Leonardo’s homosexuality, but Isaacson’s Leonardo is an unselfconscious gay man, athletic, with long golden curls and widely remarked upon for his androgynous beauty, who drew like an angel even before he was apprenticed in Florence at the age of twelve. In his youth, unusually, he wore his robes, often pink or purple, above the knee. It is said we get a glimpse of the young Leonardo in his master Verrocchio’s statue of David, standing triumphant over the head of Goliath. Even then, as a very young man, Leonardo was respected for his painting, but he was most widely celebrated for staging wondrous ephemeral public spectacles on behalf the rulers of Renaissance Italian city-states. He was an artist and an impresario, the quintessential Renaissance man who often bought caged birds to set them free. We do not know a lot about Leonardo’s life, or how he felt, but we know more about what he thought than nearly anyone who ever lived. He kept meticulous notebooks from the age thirty until he died. Over 7,000 pages of these notebooks have survived five centuries of hazards. The strength of Isaacson’s biography is his chapter-by-chapter discussion of Leonardo’s scientific and artistic discoveries as recorded in these notebooks. Leonardo’s autopsies revealed to him secrets of the inner eye and the human heart. Leonardo describes his discoveries in the science of perspective. He speculates about sneezing, the flight of birds, and the reason the sky is blue. The notebooks also tell us the color, cloth, and style of the clothes Leonardo gave his beautiful young boyfriend, who was the subject of many exquisite doodles that coexist with detailed three-dimensional drawings of gliders and bird wings. These notebooks with their priceless scientific lore were sadly unpublished. Leonardo, the perfectionist, was reluctant to declare anything finished, so that many of his scientific findings were only re-discovered centuries later. Isaacson’s great subject is genius. He has given us biographies of Benjamin Franklin, Albert Einstein, and Steve Jobs, men we call Renaissance men, whose insatiable curiosity ranged far beyond the confines of one single field of knowledge. We come to understand how Leonardo’s paintings are great because of the natural lore he brought to bear, the complex play of muscles behind a smile. Learned, accomplished, and beautiful, Leonardo was a jewel of princely courts and was, from time to time, sent from one ruler to another as a sign of respect. They indulged Leonardo, and he seems to have lived his life, from his beautiful youth to his learned old age, doing exactly what he wanted to do. Leonardo lived most of his life in Florence, Milan, Rome, and, ultimately, in a Loire valley chateau outside of Paris where he died, beloved, in the arms of Francois, the King of France, under the mysterious gaze of his painting, the Mona Lisa, which he had been perfecting for many years. One of the great things about the Birmingham Public Library System is its commitment to children’s programs. 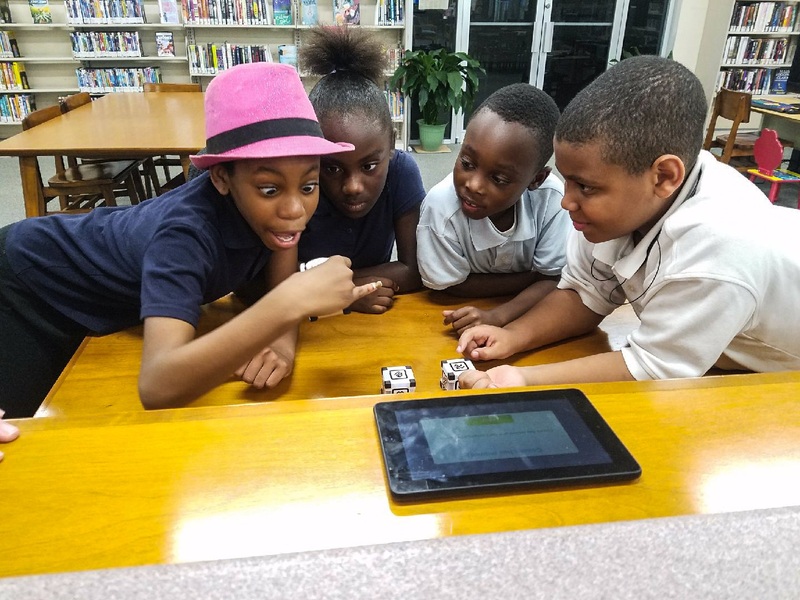 Along with Summer Reading and other programs throughout the year, BPL has sought to provide STEM learning to its patrons. The library is working to fill in the gap between what the student is learning in school with activities they might not have access to at their school. At the East Ensley Library and other library branches, we use STEM-oriented toys, puzzles, games, and programs to help bridge that gap. 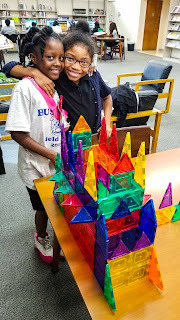 STEM learning allows the children who visit our library to think critically and creatively to solve problems, or to just simply have fun making something with a friend. On December 4 hoopla digital introduced a new line of Picture Books with Read-Alongs for young readers. These read-along titles are displayed in picture-book layout, and feature an audio player with narration as well as text that will highlight in red in sync with the narrative audio, making the read-along feature the perfect tool for new or reluctant readers and second-language learners. "We developed this eReader with feedback from librarians, patrons, and publishers and created an experience that really celebrates the work of the authors and illustrators on our platform," said owner and founder of hoopla digital Jeff Jankowski. Click here to view a selection of read-along titles including Disney-Pixar's Coco and HarperCollins' Pete the Cat. Friends Bookstore Bag Sale Price Has Been Slashed! The sale runs through December 22, when the library closes December 23-26 for the Christmas holiday. The Friends Bookstore is located on the first floor of the Central Library and is open Monday-Saturday, 9:30 a.m.-5:30 p.m. Call 205-226-3676 for more information. 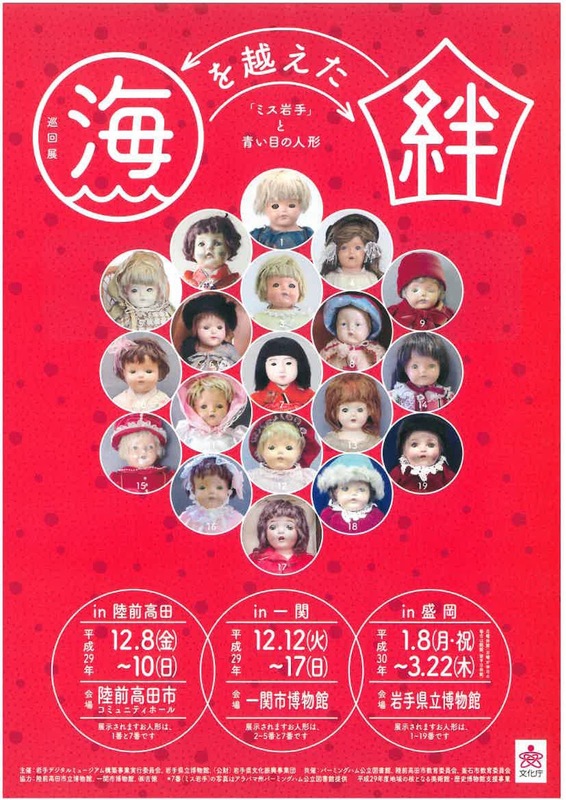 Details: Miss Iwate will be on an exhibition across Japan with other dolls as part of a traveling tour. 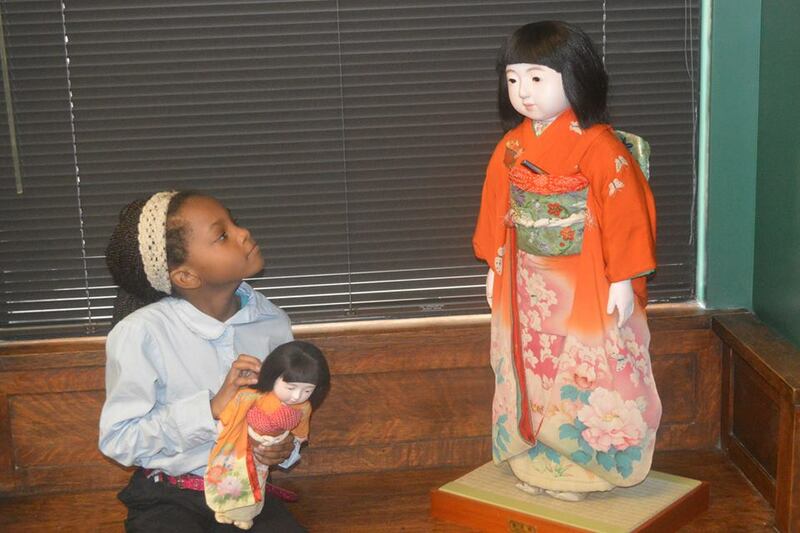 Miss Iwate, the Birmingham Public Library’s Japanese Friendship Doll since 1927, is returning to her homeland for a tour of Japan as part of a 90th birthday celebration. A group from Japan that visited Miss Iwate at the Central Library last week is taking the doll back to Japan for a four-month tour on Tuesday, December 5. 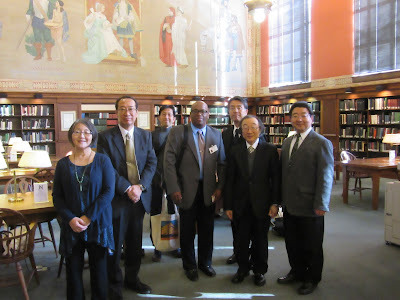 The delegation includes Masaru Aoki of Yoshitoku Dolls Tokyo, which restored the doll before she returned to BPL in 2016; Hideo Akanuma, curator of Iwate Prefectural Museum, one of the venues Miss Iwate will visit while in Japan; and Katsushi Tsunokake, program director of Iwate Broadcasting Co., which is doing a documentary on Miss Iwate’s trip to Japan. 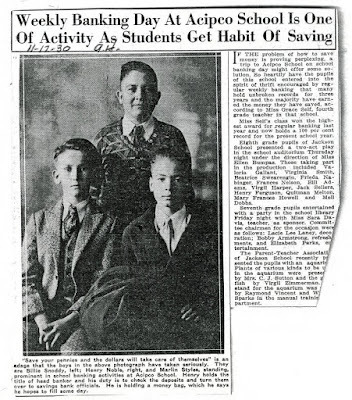 In 1927 the children of Iwate Prefecture, Japan, and the children of Birmingham, Alabama, participated in a friendship project. The Committee on World Friendship Among Children sponsored this project. The children of Birmingham sent several dolls to the children in Iwate Prefecture, Japan. The children in Japan sent 58 dolls to the United States. These dolls toured all over America and were later distributed among museums and libraries all over the country. Miss Iwate was the doll that was sent to Birmingham and placed in the Birmingham Public Library. The Japanese children sent thousands of letters with Miss Iwate. The letters explained that in Japan there is a festival each year called the Feast of Dolls which is held in honor of their favorite toy. Dolls were precious in Japan, with some being centuries old and handed down from mother to daughter. Miss Iwate, which is life sized, arrived in a black trunk with an extra trunk for her furniture. She has a chest of drawers, a sewing table, a complete tea service, two lanterns, and two small dolls to keep her company. Over the years Miss Iwate has been on display at the library for various functions. She was on exhibit during the Festival of Arts salute to Japan in 1967. BPL’s Southern History Department cares for Miss Iwate, while BPL’s Archives Department holds 28 letters from the Japanese children that were sent to the US with Miss Iwate. Several of these letters will also be on loan and exhibited with Miss Iwate. Rikuzentakata, on the coast of Iwate, was one of the areas hard hit by the 2011 Great Eastern Earthquake. Among the items that were rescued and restored after the great earthquake was Sumadaniel Hendrene, a “blue-eyed doll” which was given as a gift from the US in 1927. 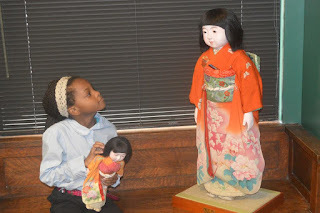 She is one of the dolls that was given to the children of Japan as part of the project led by American missionary Sidney L. Gulick in an effort to ease the growing tensions between Japan and the United States in the 1920s. After arriving in Japan, she was taken in by the Kesen Elementary School in the city of Rikuzentakata in Iwate Prefecture where she has been carefully kept and has played a role in numerous events. After the start of the Pacific War of WWII, she was set on fire, but thanks to the courageous intervention of a woman teacher at Kesen Elementary, the doll was spared a horrible fate. The doll was a victim of the tsunami which hit with sudden force, and she went missing for some time. However, thanks to determined search efforts by people in the community, she was found inside a safe which had been washed away by the tsunami. Afterwards, she was taken to the Iwate Prefectural Museum and underwent various restoration processes. She is a unique and valuable artifact that overcame two major disasters of war and the earthquake/tsunami. 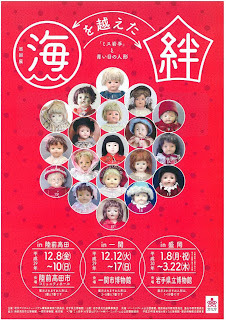 Miss Iwate will be displayed along with all 18 “blue-eyed dolls” known to exist in Iwate Prefecture. People will have plenty of opportunities to get in the holiday spirit during the month of December at many of the 19 Birmingham Public Library (BPL) locations. Among the holiday-themed programs being offered in December are open houses and tree trimmings, cooking demonstrations, shopping and entertaining on a budget workshops, a musical, storytimes, arts & crafts, trivia contests, family fun nights, and movie marathons. 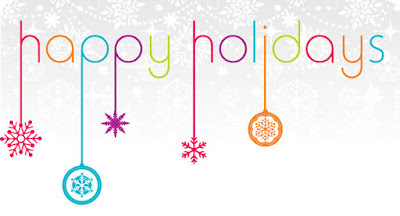 To see a complete list of December programs at all BPL locations, visit the events calendar. Some programs and events require registration, but all are free to our patrons. All BPL locations will be closed for the Christmas holiday from Saturday, December 23, through Tuesday, December 26. Naughty or nice, that is the question! Santa’s List Day is observed annually on December 4. While no one knows the true origin or creator of the holiday, Santa himself is the prime suspect. Throughout the year Santa and his elves have been busily checking on children all over the world and categorizing them by their behavior—naughty or nice. It has been reported that while Santa looks over his list on this day, he reviews and adjusts it all the way to Christmas Eve. If you fear your name may appear on the Naughty List, now is the time to do something about it. Visit the library and check out our self-improvement books. You have 20 days to get your name off the list. Good luck!